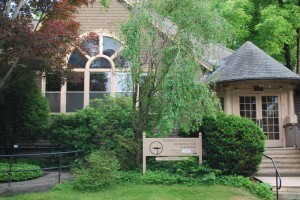 Originally built as a women’s club in 1892 and located near the heart of Andover, Massachusetts, the building where the Unitarian Universalist Congregation in Andover meets at 6 Locke Street is distinguished by its soaring ceiling in a cozy and warm auditorium meeting space. We welcome and support those seeking the use of quality space. Our meeting space and all main level areas are fully accessible to the physically challenged. Investigate us; we are equipped for business or social events — seminars, workshops, receptions, weddings, business meetings, dinners, lunches, recitals, music or acting classes, lectures, etc. — for as little as one hour or for the whole day, or longer. The capacity of the auditorium is 110 for wedding-type seating and up to 75 with folding tables for meal service seating. 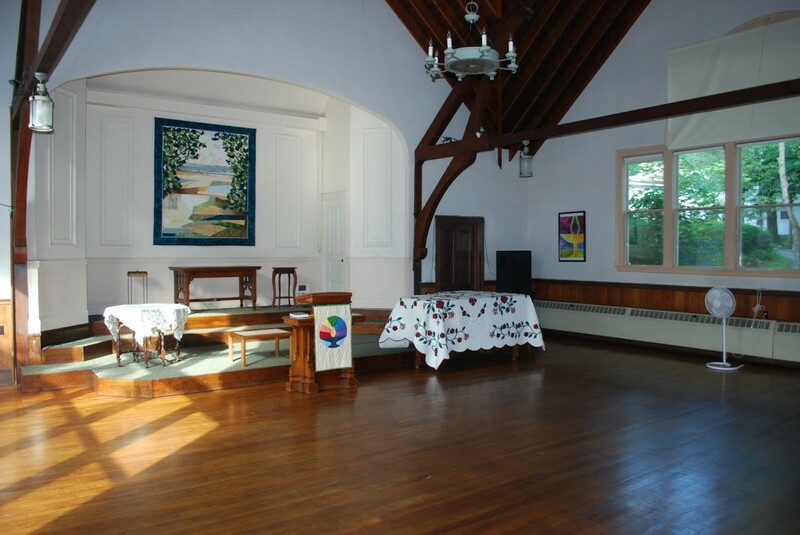 The hardwood floor makes this space especially inviting for dances and similar activities. A kitchen with prep area and dishware is also on the premises.